Last week I received a beautiful gift from a very special person who has returned home to Vancouver from China to complete her studies. 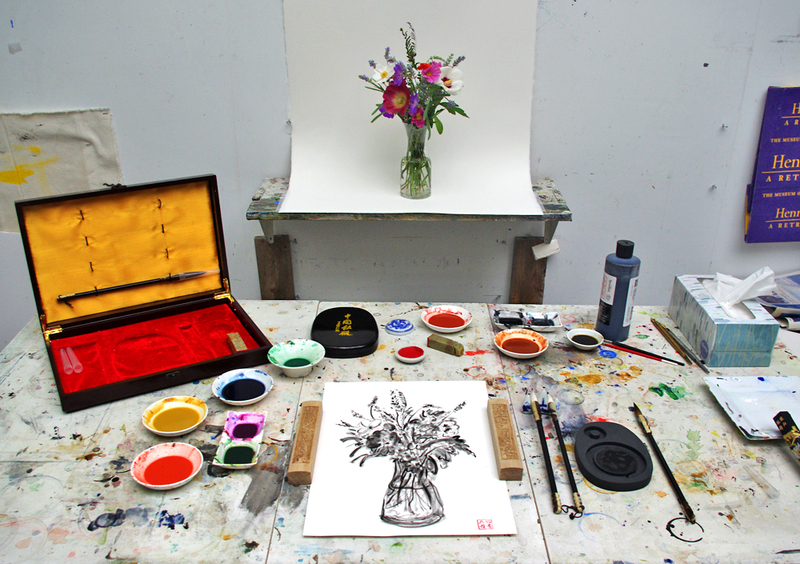 Her surprise gift to me from Beijing could not have been more perfect and timely, as I have fallen in love working again with ink and watercolour as those of you who follow my blog know well. 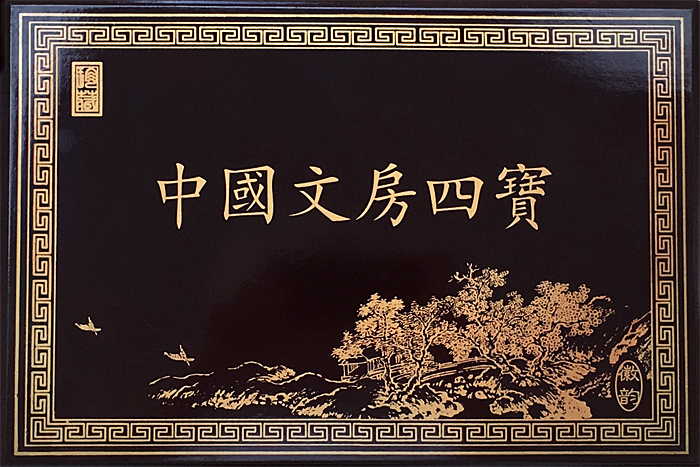 The gift has also introduced me to a piece of Chinese culture and history with which I was not familiar and which I would like to share with you today: The Four Treasures of the Study, which is the translation of the Chinese characters on the top of the presentation box. 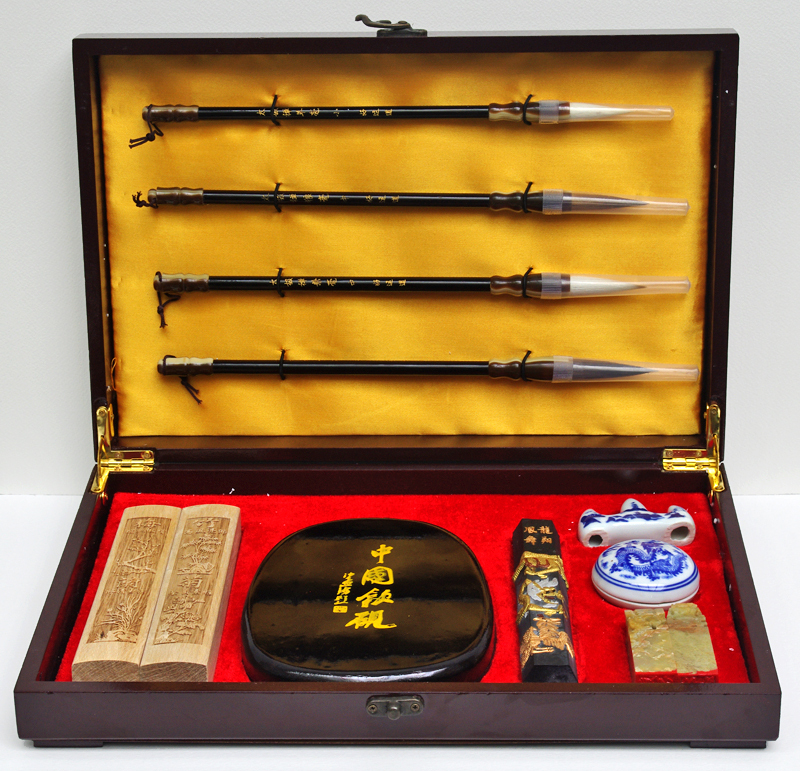 When I opened the box here were the Treasures of the Study beautifully displayed: brushes, ink, inkstone and carved paper weights representing paper and used to hold the paper down. 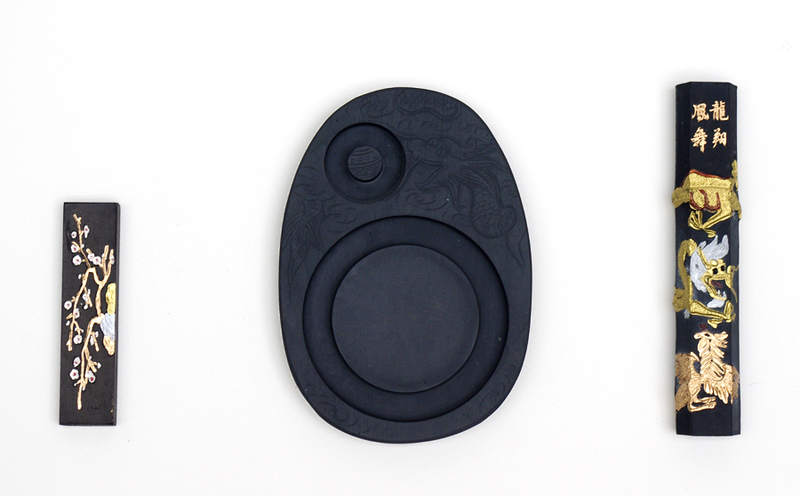 Here you can see the inkstone and inks in greater detail. 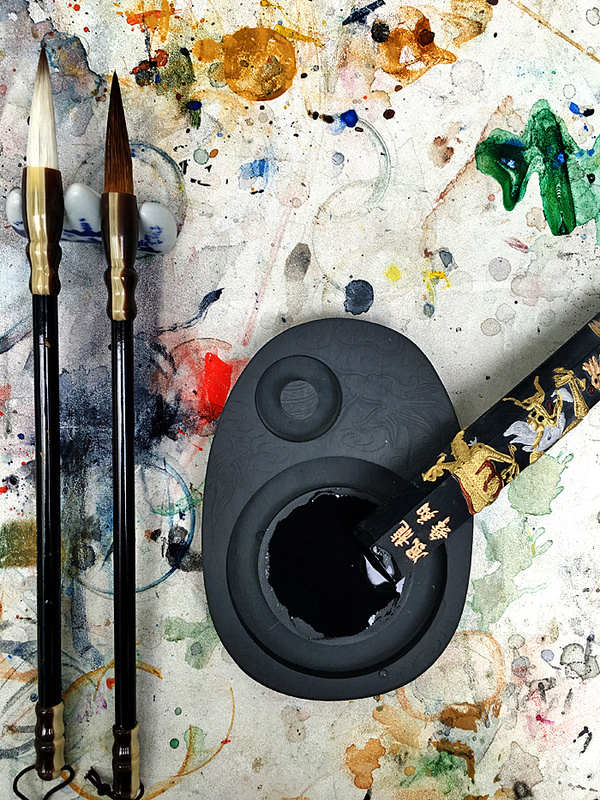 The larger ink stick has two engravings on its surface, a dragon and a phoenix. 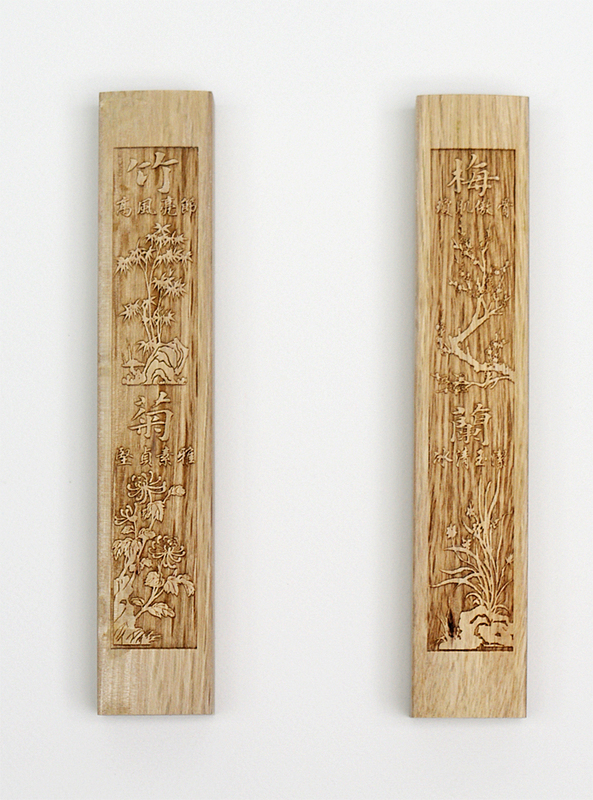 The second and smaller stick has an orange blossom motive. 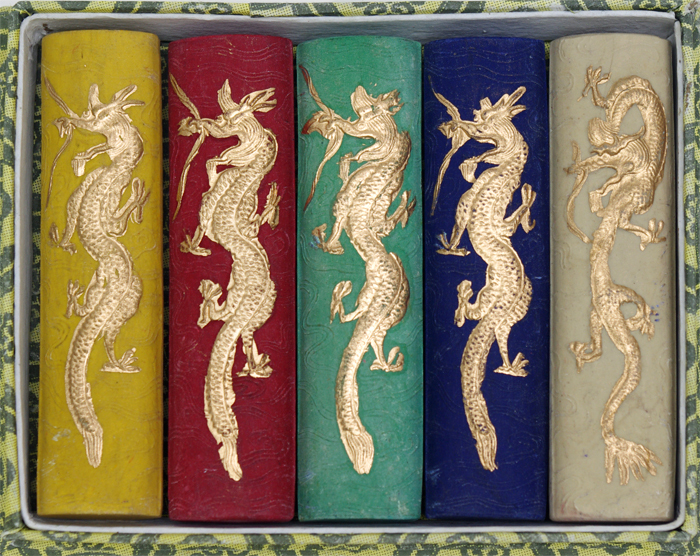 An additional box of five different coloured inks was included with the gift, each with a dragon motif once again. 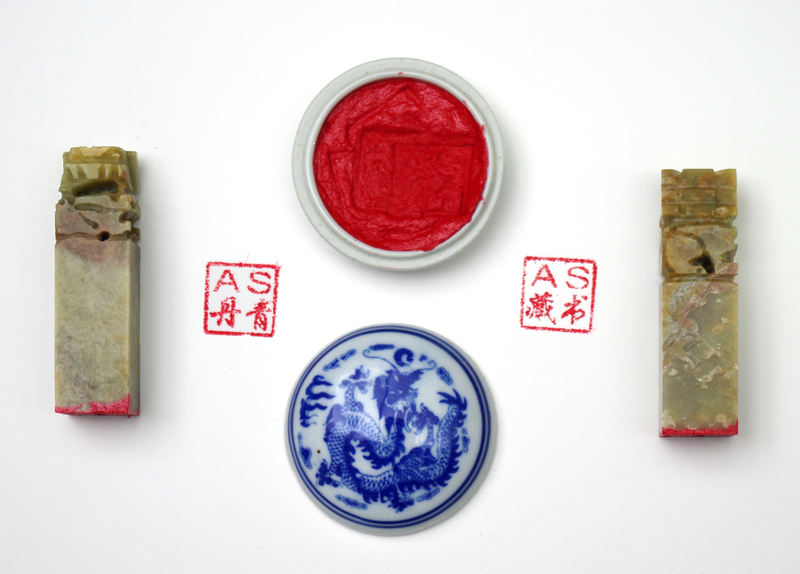 These carved ink seals were specially made for me, one for my library books and the other for my paintings. How lucky am I? 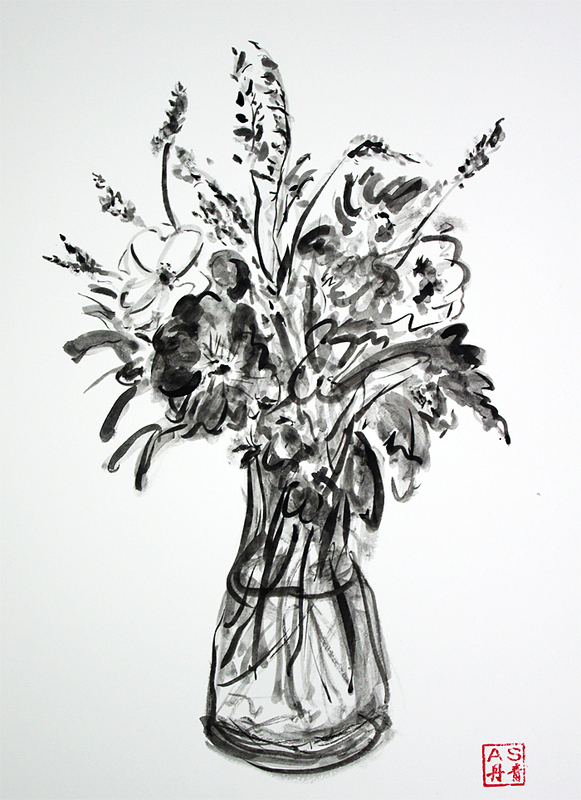 As you can imagine I was eager to begin using the Treasures, to grinding the ink and to letting the brushes sing and dance across the paper, and what better way to start than with the bouquet I had picked from the garden and posted on the First of September. Thank you Charmaine for this beautiful gift, which I will treasure always. This First Treasure is for you. Wow Andrew, a beautiful gift from someone who obviously knows you well! And beautifully put to use as well. What a wonderful gift and a wonderful piece of art. You inspire people wherever you go. I am so glad to have gotten to know you and feel privileged you help train me. I can’t wait to see the next three treasures. What a beautiful gift and I am excited because I am assuming that we’ll be seeing more paintings like these? I am so intrigued with Japanese and Chinese art. Using the ink stone and grinding your own ink, is it better than the ink that you can buy in a bottle? I have always wondered about that. OMG, Andrew – you are fortunate. What a thoughtful and precious gift. Actually four gifts! Enjoy. Many thanks. It really is a very special gift. A fine and exquisite gift such as this tells much about the giver and receiver. Loved this! I always wanted to learn Chinese calligraphy. I’m sure it’s easier than ink painting! Thank you for the wonderful photos and clear explanations. We brought some of these items back frim China to use ourselves but alas have not taken the time to get to know and use them. Such a beautiful post, your description of the treasures made me think of the jewels of an alchemist. I was eager to scroll down, to see if you would post a picture made with those brushes.. . But I resisted to the big temptation- which was not so hard actually as I loved reading about those treasures. And the surprise was even bigger, you are such a talented artist! Thanks to your friend for those magic wands only very unique magicians can use 🙂 And to you for another virtual present! What a lovely gift! I find Chinese art and characters so beautiful. Merry Christmas and may we the readers become more and more gifted with your riches! What a treasure, indeed, Andrew. Thanks Jane. It really is with such an interesting history. Wonderful gift for you to enjoy! I too have some art treasures to explore picked up on past travels (some strange little part of me just wants to look at them and keep them safe) – my new years resolution is to celebrate these gifts and use them, play with them, have fun and enjoy them. Keep on painting and thanks for sharing! 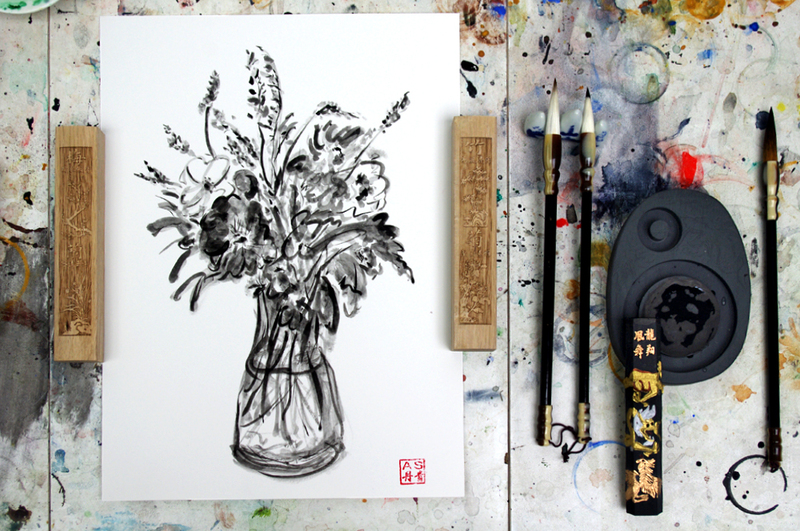 A wonderful posting, Andrew- thank you and a great lesson in the Chinese tradition of calligraphy and art!